It was a beautiful night here. I am grateful that all three of my kids can say “Trick or Treat” and “Happy Halloween” this year. 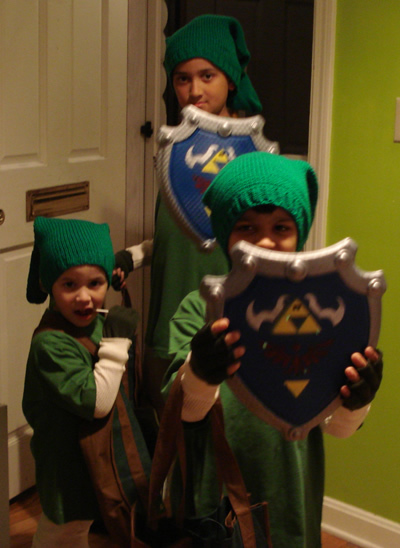 L - R: Sweet Coco, Kamikaze, and Tremendo dressed as Link and wearing their Mommy made hats. 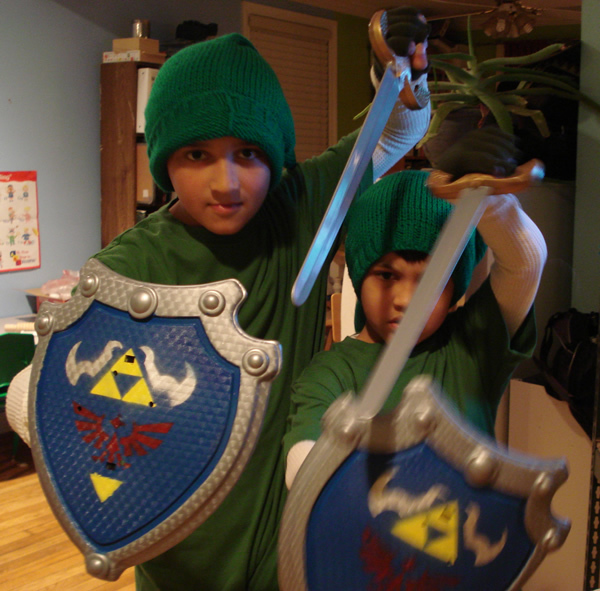 Kamikaze and Tremendo showing their fighting stance and Daddy made shields. Hope your night was as fun as ours. One Response to "Halloween 2009"